What can an art journal in terms of internationalization? We live in a world in which images and words circulate seemingly without hindrance, while bodies often run the risk of being prisoners of material or cultural boundaries. More than that, in the globalized world, the risk of an artificial dissociation, source of standardization between bodies, on the one hand, and words and images, on the other hand, is profound. Performance arts and performing arts, in general, emerge as a kind of experimental laboratory in which the agency of bodies-images-words can be discussed, deconstructed and reinvented in presence and in the scene. To do so, to tell multiple stories about how it is defined in different cultures and epochs, to debate its evolution and its forms of hybridization, reveals one of the great challenges of our globalized modernity and its history. It is from this perspective that the journal has become a place of exchange and sharing of experiences and reflections of a vast network of international researchers. This sense of internationalization, in fact, is cherished by us, since it is not about unilateral, hierarchical and colonial relations; but of an apparatus of horizontal relations that occur through a complex process of publication. This process is not limited to putting any articles online, but in a meticulous work in which international relations function as both a catalyst for the latest research results and as inducer of meetings and debates that advance the area of ​​arts in different countries. 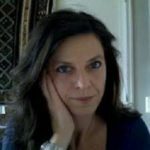 Next, Professor Anna Mirabella, our Associate-editor in France, comments on her work as an editor and the importance of an internationalized journal.